Ron Norris Honda Dealership – RUSH, Inc. 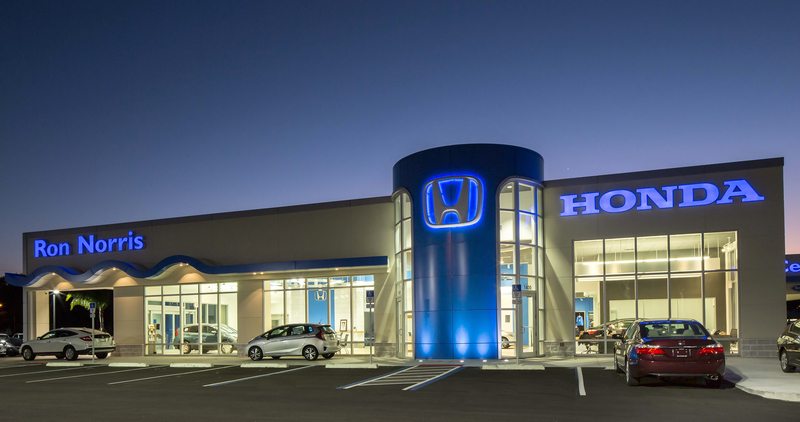 The Ron Norris Honda Dealership project located along Highway US 1 in downtown Titusville was a three-phase, design-build project constructed concurrently with the Ron Norris Buick/GMC Dealership project. 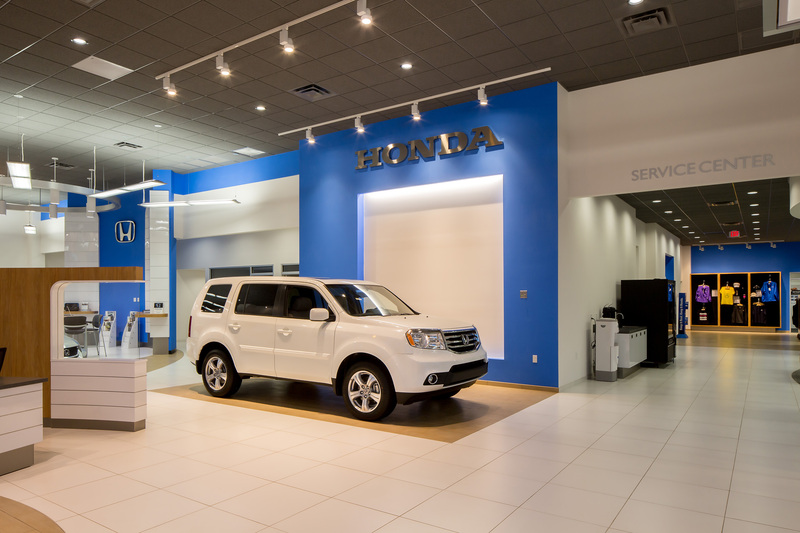 The design and construction of the 20,000 square foot Ron Norris Honda Dealership was modeled to Honda’s Gen 3 Image Program governed by Interbrand Design Forum. RUSH lead led the architectural and engineering design firms through the required stringent dealer design reviews required by Interbrand Design Forum on the Owner’s behalf while ensuring that schedule and budget milestones remained on track. The existing 5.5 acre site was fully revitalized with new parking, storm water collection systems, wet/dry retention ponds, underground utilities, landscaping, and irrigation. Taking size constraints into account, RUSH was able to develop an elaborate phasing plan that allowed for the construction of new dealerships simultaneously while keeping the existing dealership open for business. 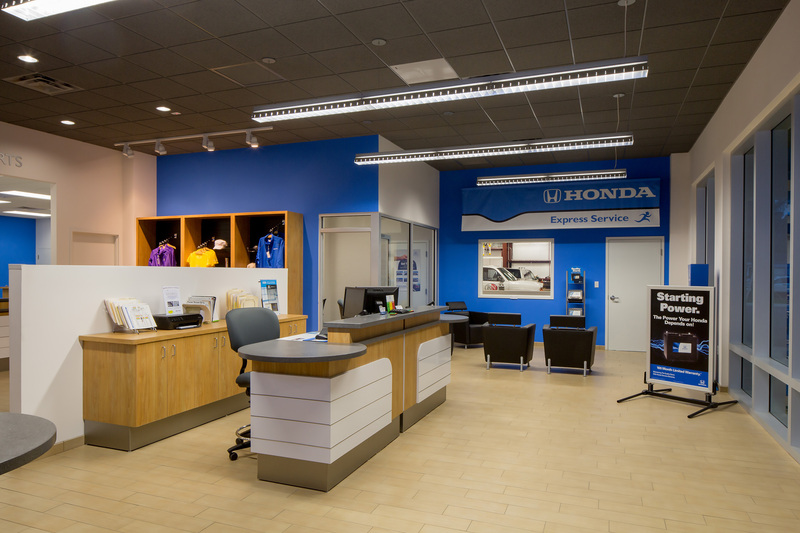 The new Honda Dealership was equipped with a designated customer lounge, business center, kid’s play area, full-service parts and service departments, and a showroom/sales office area with high-end finishes for a very pleasing customer experience. The Service Areas have in-ground vehicle lifts, air and lube system, vehicle exhaust extraction system, and dedicated technician computer work stations at each service bay.